Check out if Barefoot College is in The Top 100 NGOs 2013 Edition! Training an army of ‘barefoot professionals’. Over 3 million participants to date. No other NGO on this list is as linked in the popular mind to a single individual as Barefoot College and its charismatic founder, Bunker Roy. Moved by the plight of the rural poor in his native India, Roy founded the organization in 1972 to provide basic services and solutions to problems in rural communities, underpinned by the principles of self-sufficiency and sustainability. Barefoot College has since nurtured a form of grassroots social entrepreneurship that has won plaudits for its success in helping people steer their own path out of poverty. Open only to individuals without a formal education, and committed to the de-mystification and de-centralization of sophisticated technology by handing its control to poor communities, Barefoot College’s model employs peer-to-peer learning grounded in practical knowledge to train ‘barefoot professionals’: teachers, doctors, midwives, mechanics, architects and more. To date, over three million people have participated. 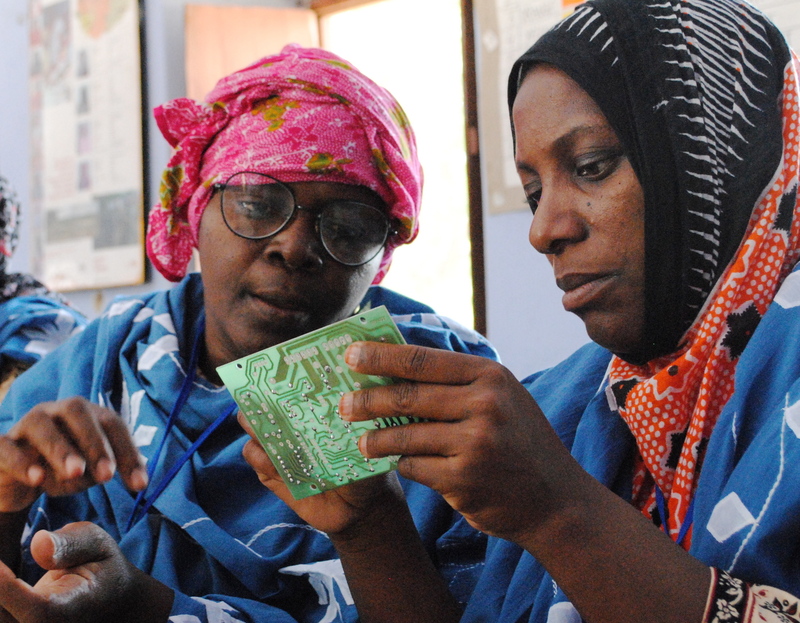 Now in a period of rapid expansion – project planning is underway in Africa, Asia and Latin America – the organization’s cadre of female solar engineers has become perhaps its emblematic initiative. Mothers and grandmothers from villages worldwide have been successfully trained in the fabrication, installation and maintenance of solar lighting systems after undergoing only six months of hands-on instruction without written materials and delivered by their peers.